Follow along as we construct our all new 55,000 square foot facility that’s sure to be the new gold standard in the industry. We’ve built a facility more worthy of what our employees deserve and what our clients have learned to expect. 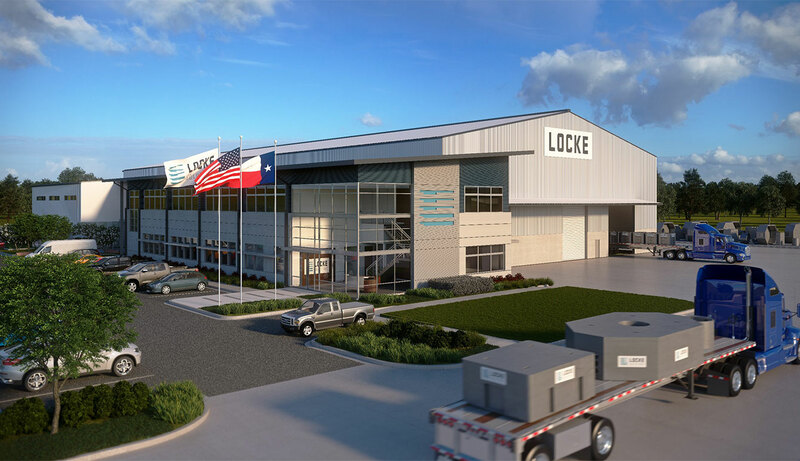 The word is out: Locke Solutions opened an all all-new, state-of-the-art facility in Houston, Texas. We partnered with the design/build firm Synchro to create a truly groundbreaking facility. If you’d like to learn more about our updated capabilities or even take a tour, please contact us. Our New State of the Art Facility. Not only does our facility look and feel better, but it has doubled our precast production capacity overnight. From our most popular products to the new one you’ll bring to us, we’re beyond thrilled at our new abilities. Our all-new facility is paired with industry-leading concrete batching equipment by Mixer Systems Inc., built with American reliability to stand up to the challenges of the world of concrete. Our entire team of technical sales, project management, engineering, 3D CAD designers, quality control, production, purchasing, and accounting personnel all under one roof. That means even better service for you.